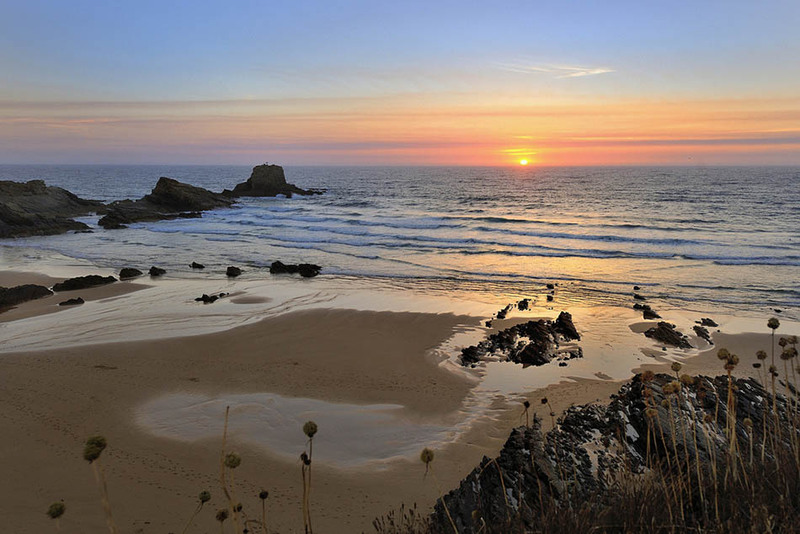 Discover the town of Zambujeira do Mar, in Odemira, Portugal. Zambujeira do Mar is a quiet town well known for the natural and charming beaches surrounded by steep cliffs. 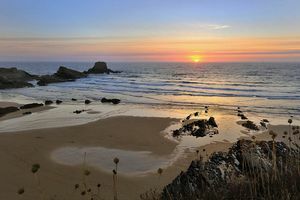 The town is an excellent base camp to go on a walk along the cliffs and dunes, or to discover the many desertic beaches only inhabited by sea birds. The town’s main street ends in a cliff, and from there, many trails depart towards the welcoming sandy beaches. 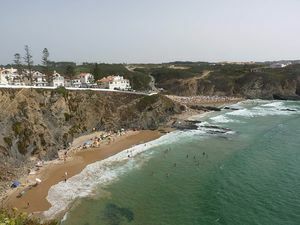 The town of Zambujeira do Mar attracts many of those living in Lisbon, backpackers, and surfers during the summer; but still remains much more quiet than the nearby Vila Nova de Milfontes, except during August. This is when the town hosts the populous music Festival of Festa do Sudoeste. There is a beautiful three-kilometre-long trail between Zambujeira do Mar and Porto de Pesca that is usually walked or biked. In Porto de Pesca there many excellent restaurants. Only three kilometers to the north, lies the small fishing harbour of Porto das Barcas, offering a landscape where time is inimical. Only some fishermen’s cabins and a fried-fish restaurant can be seen.